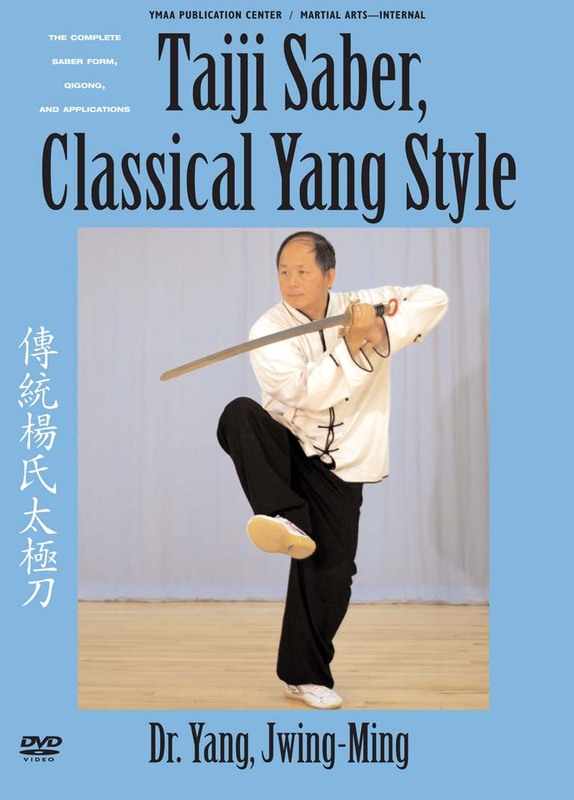 Dr. Yang, Jwing-Ming demonstrates the traditional 32-posture Taiji Saber long form, with basic drills, qigong, and martial applications. Dr. Yang, Jwing-Ming demonstrates the traditional 32-posture Taiji Saber long form, with basic drills, qigong, and martial applications. Saber training develops the fundamental skills required for all other short weapons training. It is traditionally the first short weapon learned in Taijiquan, and is the foundation of double-blade sword training. This program is organized in five sections. Also included is a DVD-only excerpt of Dr. Yang's lecture on the subject of saber training. This demonstration-only program and the instructional "Saber Fundamental Training DVD" (YMAA) will help you develop a solid foundation in saber technique.